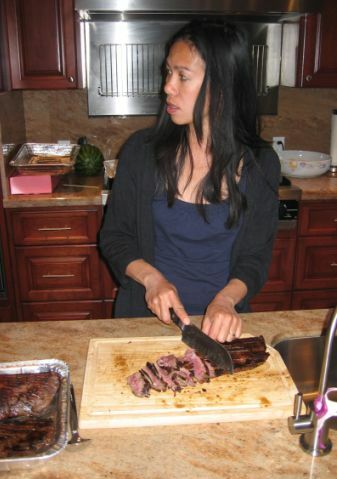 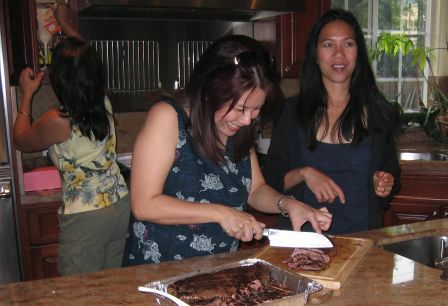 Huyen having a great time slicing the skirt steak under Mai-Phuong's supervision! 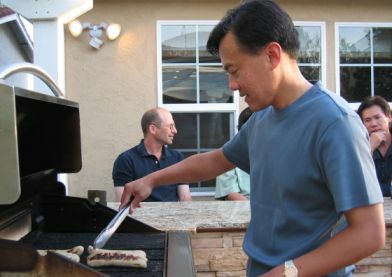 Tuan grilling some sausages for his special Choucroute (French for sauerkraut). 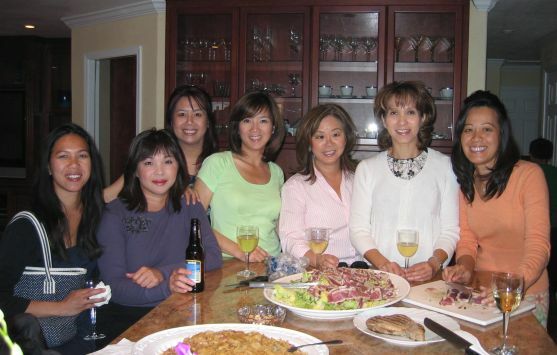 ..A few beers, good food and good company will bring a smile to your face! 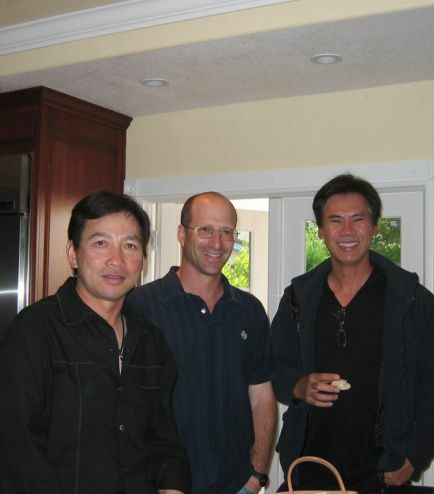 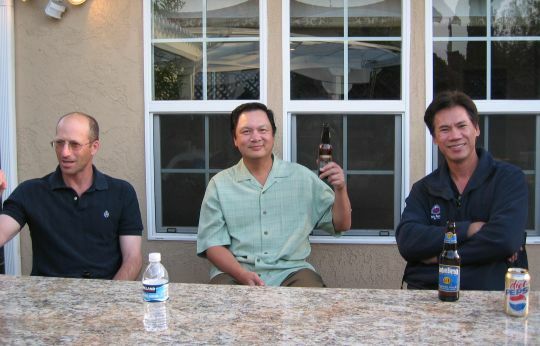 Cheers to Ken, Phuc and Duy! 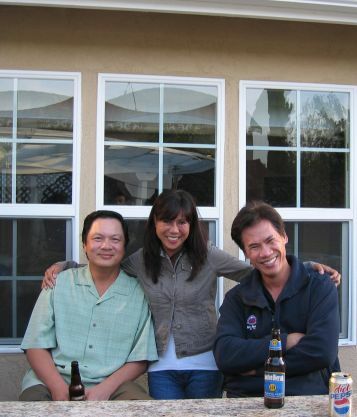 Looks like they have the best sit at the Bar!